Everyone wants to know, “What’s the matter with Robert?” Since becoming an empty-nester, the usually solid and dependable professor seems to be falling apart — just like the old red maple tree in the back yard. When friends get together for a cheer-him-up dinner, Robert announces he’s had an epiphany that will rock the world of the stalwart suburban gang around the table. Things get shaken and stirred as the cocktails and confessions flow, building to a hilarious crescendo when an unexpected guest shows up begging another question, “Guess who’s coming to dinner?” Written by Capital Region veteran actor-writer, David Bunce, this uproarious comedy, set in the suburbs of Albany, was the runaway hit of the 2016 NEXT ACT! New Play Summit. Stay after the show for desserts from Bella Napoli and champagne (or ginger ale) toast with the cast and crew! Stop in on February 1 for 1st Friday in conjunction with the Lark Street BID and meet guest artist Cathy Frank. The reception will be from 5:30 – 7:30 pm but the art will remain up during the run of Red Maple. The artist Cathy Frank is known to some because of Cathy’s Waffle Store on Lark Street in the 80s. The work in this show is photography and digital painting as she continues to explore her surroundings together with her irrepressible imagination. It just so happens that the opening of this show coincides with the 40th anniversary of the opening of Cathy’s Waffle Store. Hungry for a pre-show snack? Enjoy complimentary light bites before the show provided by Albany Pump Station! Samples servings begin at 6:30 p.m. Producing Artistic Director Maggie Mancinelli-Cahill will host a pre-show discussion with author David Bunce. Come and join the conversation! 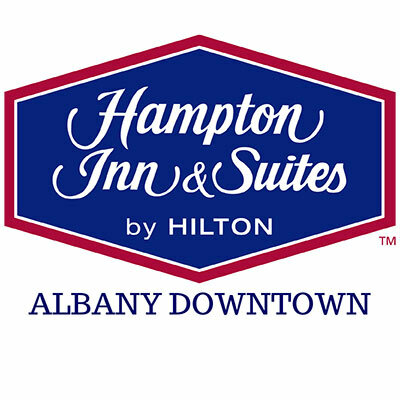 Before the show, enjoy complimentary samples from Albany Distilling from 6:30 – 7:30 p.m. Interested in learning more about Red Maple? Join us after the show for a post-show discussion with Producing Artistic Director Maggie Mancinelli-Cahill and the cast from the play. A pre-show discussion with Producing Artistic Director Maggie Mancinelli-Cahill and special guest, Red Maple author David Bunce at 12:30 p.m. and includes a light pre-show snack. Looking for something to do on Valentine’s Day? Enjoy dinner and a show with Albany Pump Station and Red Maple. Start with a 3-course meal from Albany Pump Station, then head to theREP to see the hilarious comedy, Red Maple. Use code VALENTINES at checkout to receive the 3-course meal and show ticket. Each meal is $30 and can be used with any ticket level for the show. 2 selections made daily – ask your server! House Salad- Mixed greens, carrots, cherry tomatoes, cucumbers and croutons. Choice of dressing. Filet- Petite filet topped with a roasted mushroom bordelaise. Served with a side of mashed potatoes and asparagus. Mahi-Mahi- Grilled Mahi-Mahi topped with a romesco sauce. Served with a side of rice and green beans. Pasta Primavera- Fresh vegetables and marinara tossed with penne. Cannoli Dip- Fried pastry dough with a sweet creamy dip. 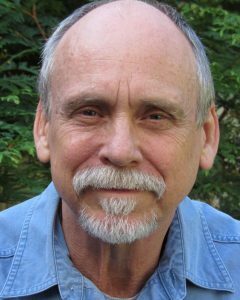 Local actor and playwright, familiar to area audiences as a twenty-seven year veteran with the New York State Theatre Institute. Other play scripts include a musical adaptation of the Edgar Allan Poe story The Fall of the House of Usher, an adaptation of Charles Dickens’ A Christmas Carol and the one-man show Dogs of War; Shakespeare’s Soldiers for the Theatre Institute at Sage (TIS) and the plays Lunch and Where Are You Louise? Screenplays include Incisions, Learning to Fly and Gasoline and Lightning for Edgewood Studios. Writer and director of the short films The Smell of Existence and Soup’s On. Directing assignments have included the films All For The Birds; Pete Dubacher and the Berkshire Bird Paradise and Breakfast of Champions and stage productions of And Then There Were None for the New York State Theatre Institute, Last of the Mohicans Outdoor Drama in Lake George and Lord of the Flies, A Christmas Carol, Radiance: The Passion of Marie Curie, Number the Stars and The Giver for TIS. Proud member of Actors Equity Association, SAG/AFTRA, the Dramatists Guild and the Society of American Fight Directors. Love to Patti.